You’re sure to find a sleeping style to suit your needs and budget! Adventure in Cochrane, nestled between Calgary and Banff National Park! The Ramada by Wyndham Cochrane hotel offers easy access to the most popular provincial attractions, making it the perfect Alberta stopover. Note: We are 40 kilometers from Calgary International Airport (YYC). Close to the Bow River area, the Cochrane Golf Club, and Calaway Park. Bow RiversEdge Campground is located along the banks of the beautiful Bow River in Cochrane, Alberta. The Town of Cochrane has full amenitities including great shopping and many restaurants. Other attractions include touring Cochrane Ranche, paragliding on the Big Hill, from horseback riding to fishing right on the Bow River. Located next to the Spray Lake Sawmills Family Sports Center, the campground is a great place to meet for games, tournaments, and other local events. 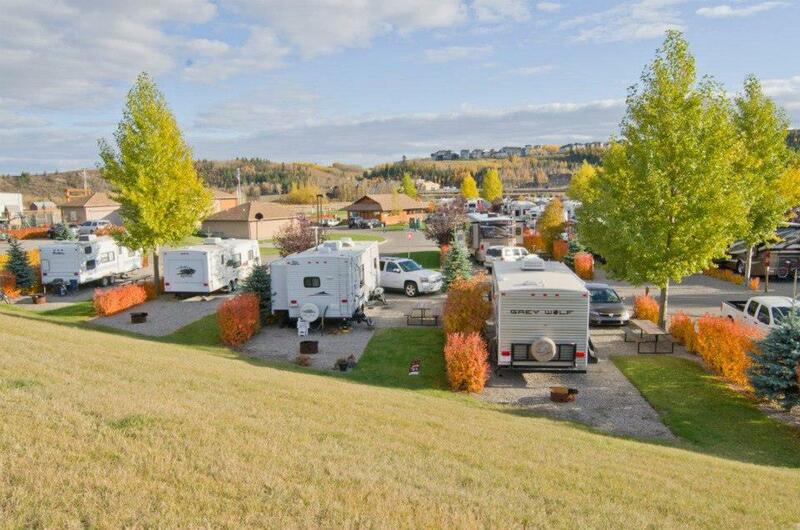 Spring Hill RV Park is a full service, year round RV park at the gateway to the Rocky Mountains. Full hook-ups, including 30 and 50 amp service, water and sewer, as well as pull through lots capable of handling the largest coaches available. For your convenience, all the amenities are on site including a convenience store, gas, diesel, propane and a liquor store. As well free to all guests, Meaghan’s Pond offers great trout fishing.